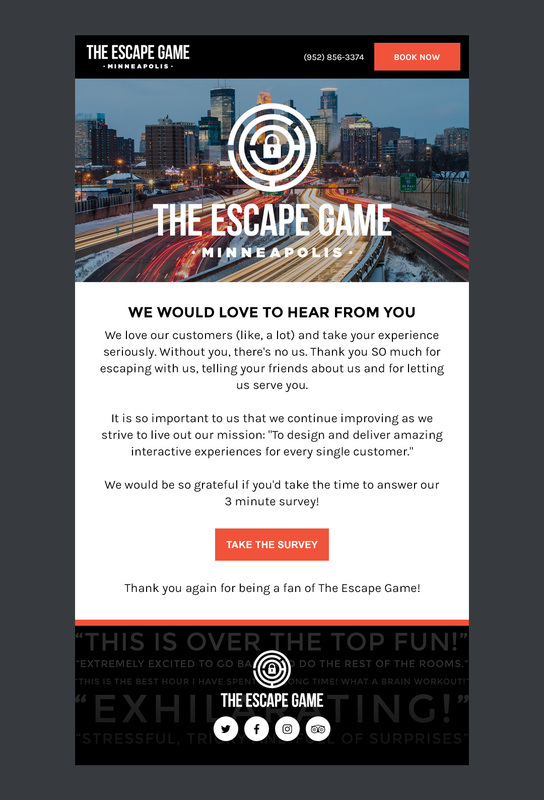 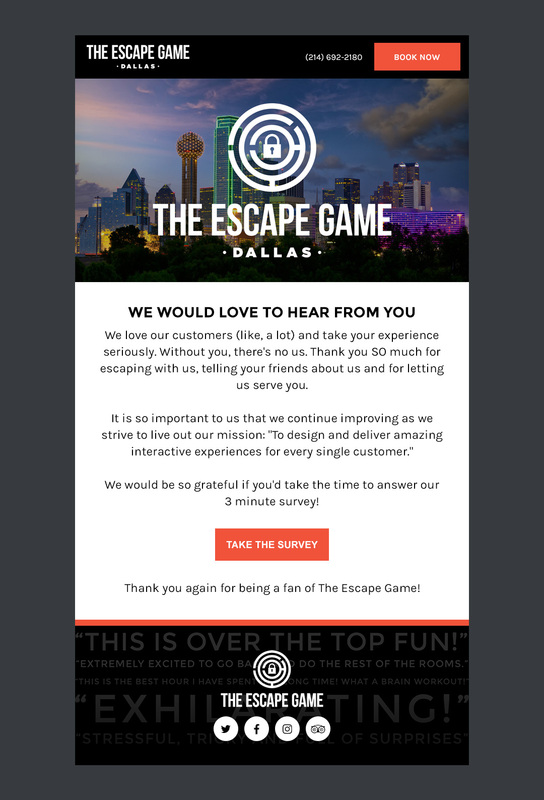 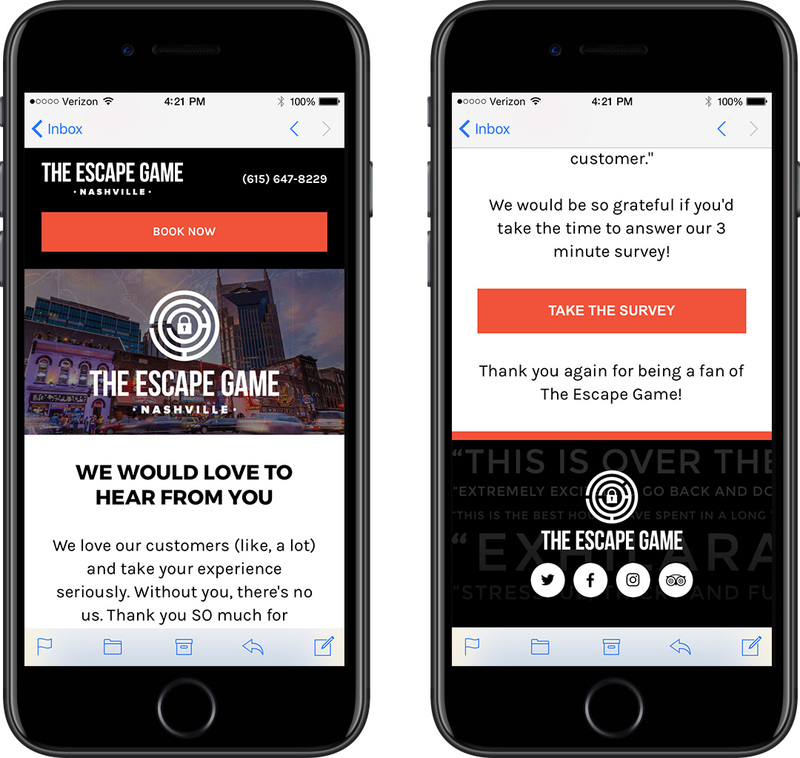 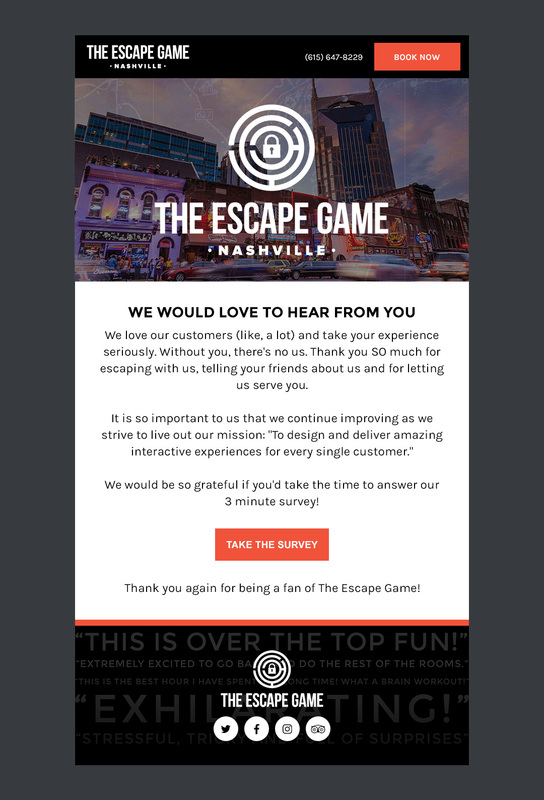 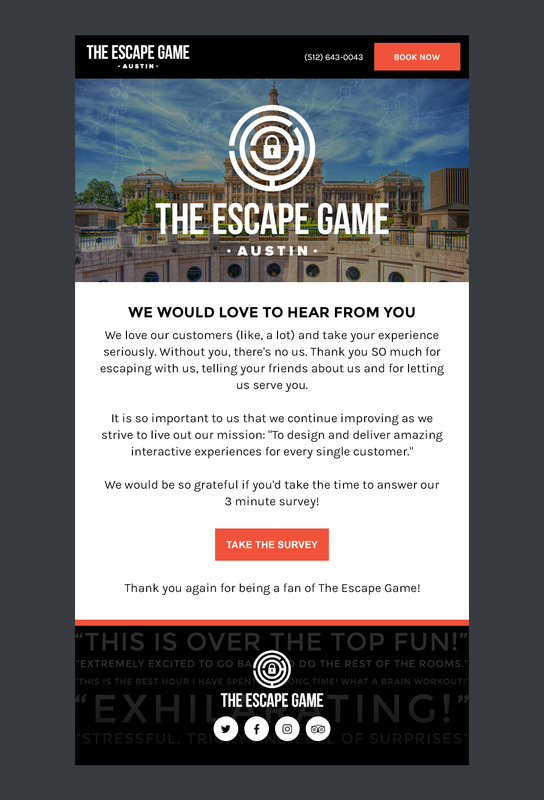 The Escape Game is an escape room concept with locations all over the US. 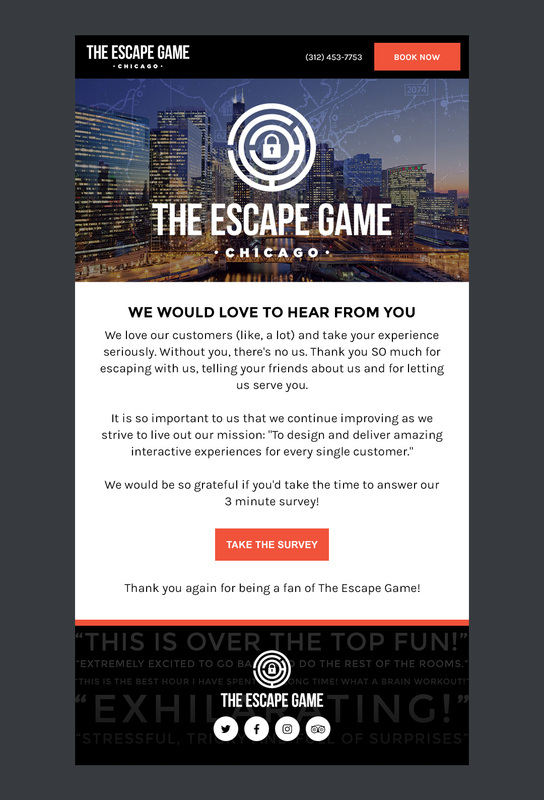 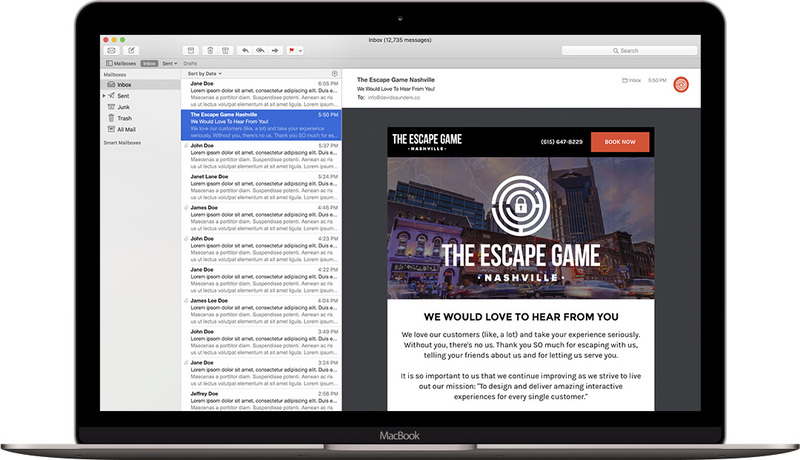 I got them started off with a set of re-usable email templates that they'll be able to use for all sorts of marketing needs, and skinned them for each city they're located in. The design can be updated as they continue to add franchises in the future. You can view a live version of the template here.